On February 1, 1959, something terrifying overtook nine student ski-hikers in the northern Ural Mountains. 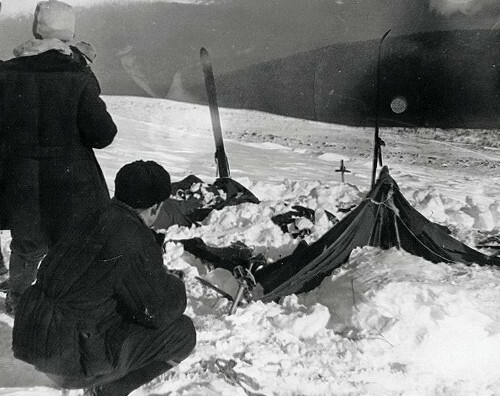 In this episode of the Futility Closet podcast we’ll recount what is known about the incident at Dyatlov Pass and try to make sense of the hikers’ harrowing final night. We’ll also hear how Dwight Eisenhower might have delivered the Gettysburg Address and puzzle over why signing her name might entitle a woman to a lavish new home. 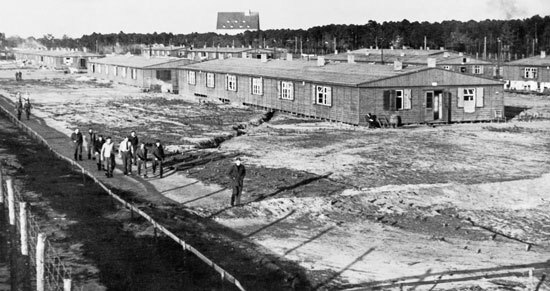 In 1943 three men came up with an ingenious plan to escape from the seemingly escape-proof Stalag Luft III prison camp in Germany. In this episode of the Futility Closet podcast we’ll learn about their clever deception, which made them briefly famous around the world. We’ll also hear about the chaotic annual tradition of Moving Day in several North American cities and puzzle over how a severely injured hiker beats his wife back to their RV. 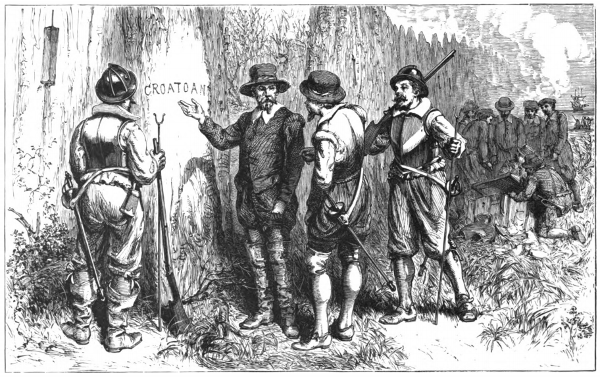 It’s been called America’s oldest mystery: A group of 100 English colonists vanished from North Carolina’s Roanoke Island shortly after settling there in 1587. But was their disappearance really so mysterious? In this episode of the Futility Closet podcast we’ll trace the history of the “lost colony” and consider what might have happened to the settlers. We’ll also visit an early steam locomotive in 1830 and puzzle over why writing a letter might prove to be fatal. 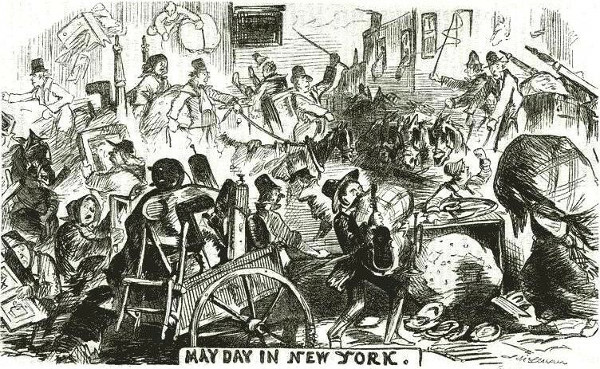 For centuries, May 1 brought chaos to New York, as most tenants had to move on the same day, clogging the streets with harried people and all their belongings. In this episode of the Futility Closet podcast we’ll review the colorful history of “Moving Day” and wonder how it lasted through two centuries. We’ll also recount some surprising escapes from sinking ships and puzzle over a burglar’s ingenuity. 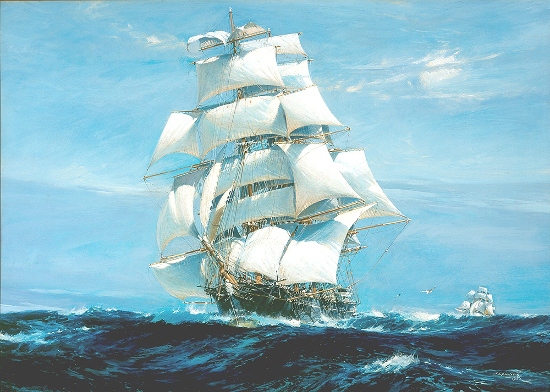 In this week’s episode of the Futility Closet podcast we’ll follow the dramatic 14,000-mile clipper ship race of 1866, in which five ships competed fiercely to be the first to London with the season’s tea. We’ll also track the importance of mulch to the readers of the comic book Groo the Wanderer and puzzle over the effects of Kool-Aid consumption on a woman’s relationships. 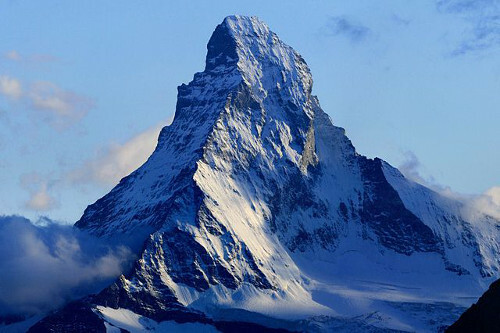 Podcast Episode 49: Can a Kitten Climb the Matterhorn? In 1950 newspapers around the world reported that a 10-month-old kitten had climbed the Matterhorn, one of the highest peaks in Europe. In this week’s episode of the Futility Closet podcast we’ll wonder whether even a very determined kitty could accomplish such a feat. We’ll also marvel at a striking demonstration of dolphin intelligence and puzzle over a perplexed mechanic. In 1935 a shark in an Australian aquarium vomited up a human forearm, a bizarre turn of events that sparked a confused murder investigation. This week’s episode of the Futility Closet podcast presents two cases in which a shark supplied key evidence of a human crime. We’ll also learn about the Paris Herald’s obsession with centigrade temperature, revisit the scary travel writings of Victorian children’s author Favell Lee Mortimer, and puzzle over an unavenged killing at a sporting event. Victorian children’s author Favell Lee Mortimer published three bizarre travel books that described a world full of death, vice, and peril. 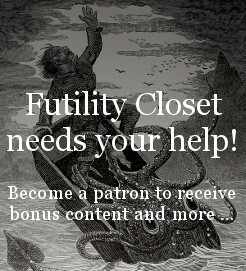 In this week’s episode of the Futility Closet podcast we’ll sample her terrifying descriptions of the lands beyond England and wonder what led her to write them. We’ll also review the movie career of an Alaskan sled dog, learn about the Soviet Union’s domestication of silver foxes, and puzzle over some curious noises in a soccer stadium. In 1925, Nome, Alaska, was struck by an outbreak of diphtheria, and only a relay of dogsleds could deliver the life-saving serum in time. In this week’s episode of the Futility Closet podcast we’ll follow the dogs’ desperate race through arctic blizzards to save the town from epidemic. We’ll also hear a song about S.A. Andree’s balloon expedition to the North Pole and puzzle over a lost accomplishment of ancient civilizations.